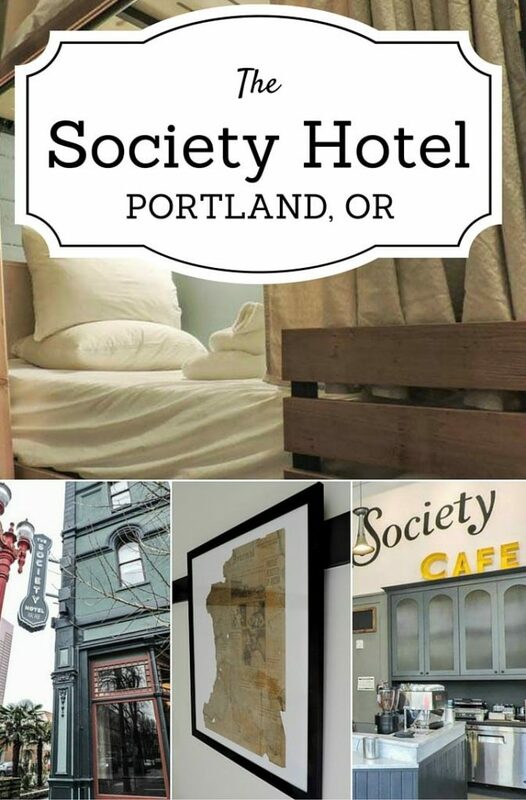 The Society Hotel, Portland maybe situated in one of the oldest buildings in Oregon’s hippest city, but it is also the new kid on the block. The accommodation is unique for two reasons. Firstly, it blurs the lines between a hotel, hostel, and stay-vacation. Secondly, when opened up for construction, the team discovered an Aladdin’s cave of hidden treasures, stuck in a time warp of the 1930s. 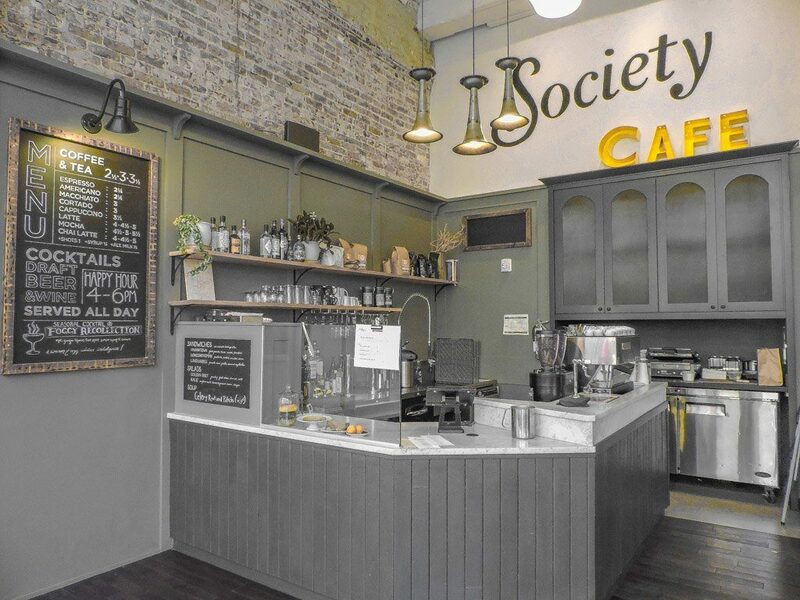 First impression of The Society Hotel? This place is chic. The decor, the colour scheme, the attractive and upbeat staff, the cafe which serves coffee, cocktails, and craft beer (it is Portland after all), and the rooftop hang out area, all contribute to a really cool living space. Then you look closer and realise that nothing is quite what it seems at first glance. The coffee tables are actually cement blocks, the reception wall is made up of doors, the pictures hanging from the walls are newspaper clippings from 1930s, one features JFK’s Dad! There’s something deeper than just an aesthetically attractive hotel. 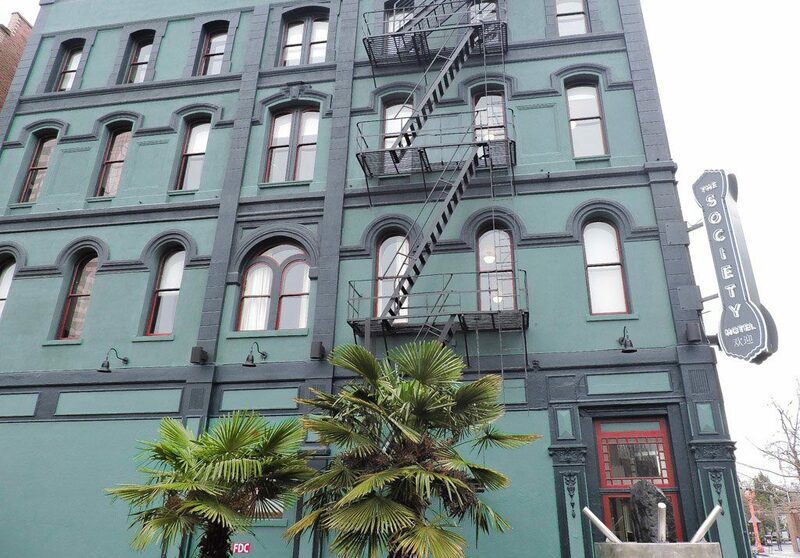 In its past life, the 1880s building at 203 NW 3rd Avenue has taken on many roles – a Mariner’s Home for sailors (1881), a hospital (1889), a couple of hotels (1901, 1944), and home to the Chinese American Advocacy Group (1945 – 1952). When the building was unsealed the team found trinkets from the building’s previous life, resembling a large-scale time capsule. 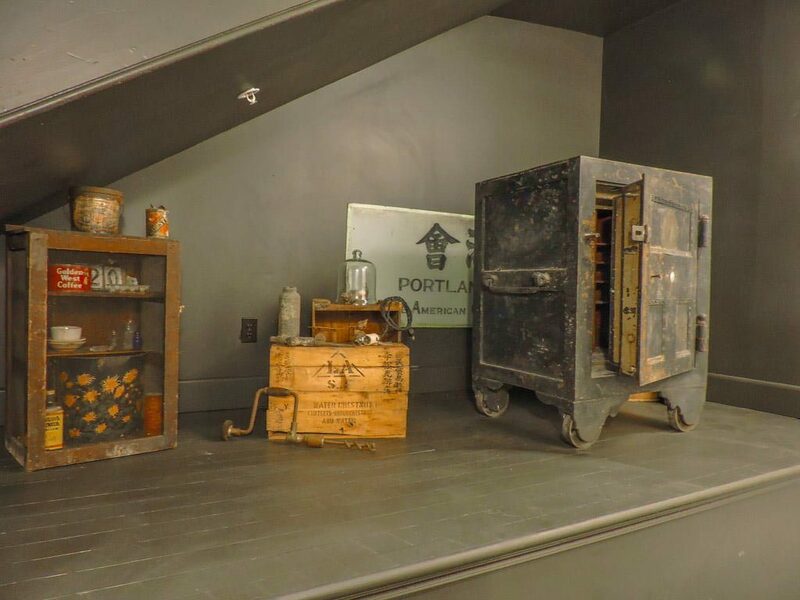 The owners of The Society Hotel, Portland wanted to preserve as much of the building as possible by reusing not only things like the Chinese American Advocacy Group safe for decor but also the building materials. 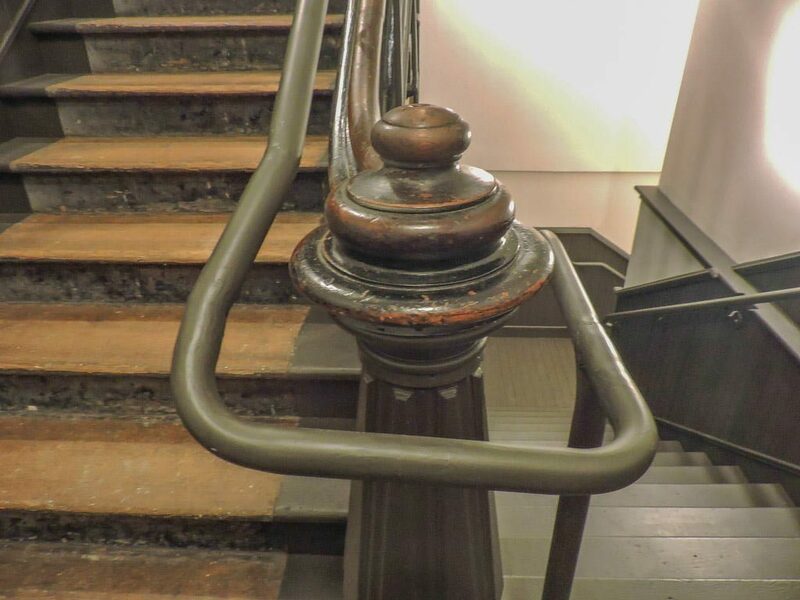 95% of the wood was reused, the original windows were maintained, and the staircase, which guests can use, demonstrates the changes the building has gone through when you study the difference in its materials. Naturally, management added the necessary earthquake reinforcements and updated the building to meet current standards as well as fitting solar panels – resulting in a new hotel with a nostalgic feel. The Society Hotel rooms cater for all types of travellers and tourists. The private king room includes a bed big enough for four, a private bathroom, sofa, table, side table, and dressing gowns. Some of the private queen rooms have shared bathrooms, but forget queuing for your morning shower: there are approximately three rooms to one bathroom. As I mentioned previously, The Society Hotel is blurring the lines between hotel and hostel. This is evident in the dorm room. The room itself is massive! The very high ceilings avoid that typical claustrophobic feeling found in dorm rooms. There is a small kitchen with a tap, which runs hot and cold, a large table for socialising, and lockers. 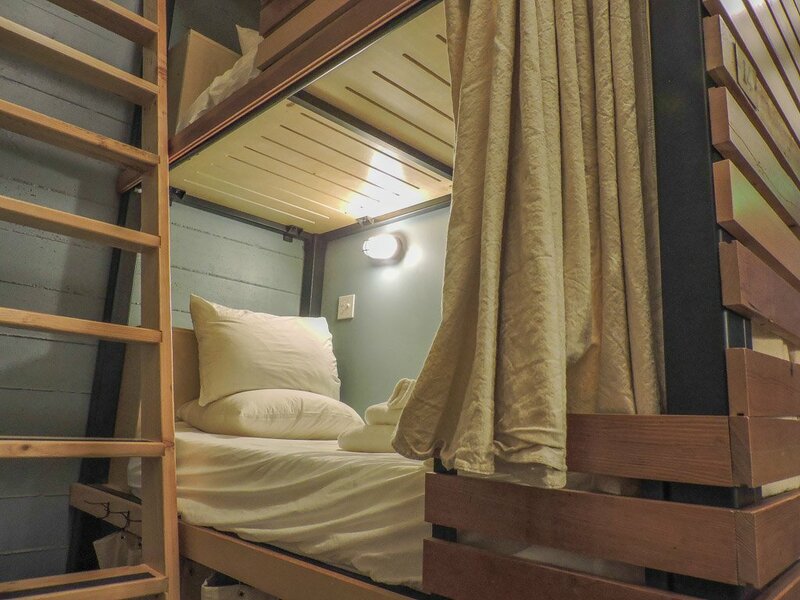 Each bunk bed has a memory foam mattress, shelves, and curtains for privacy. 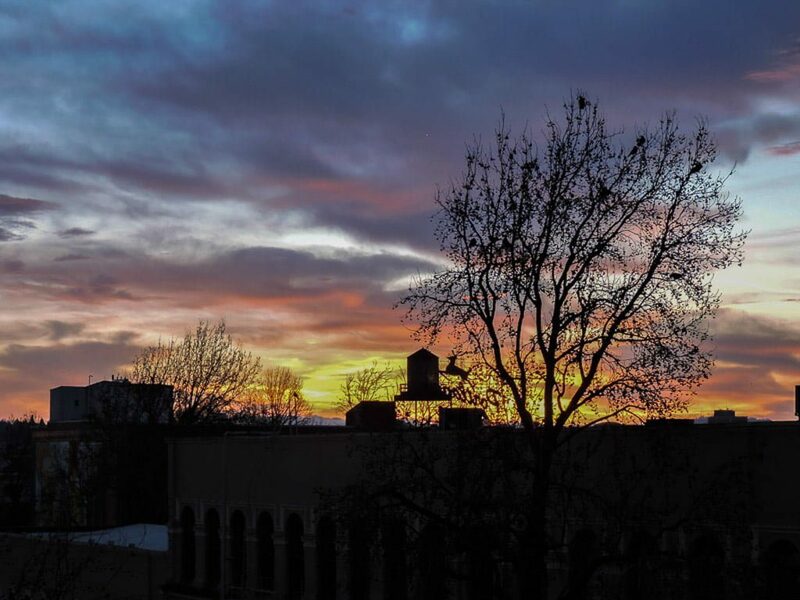 Hostel owners – this is the way forward, wake up to 2016! This structure conjures up a romantic feeling of being on an old-fashioned train or cruise boat! And at around $35 + tax, it’s an affordable luxury. The beds are all crafted by a local business, Axiom. That’s another thing I like about The Society Hotel—they’ve used local companies where possible. The hand soaps are currently by Roots Soap and the next supplier is a partner they met at Portland’s famous Saturday market. 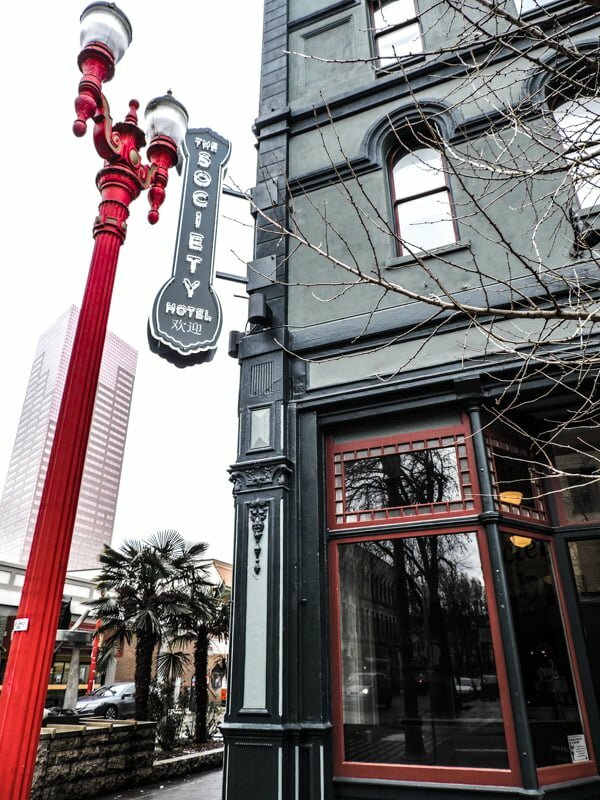 The Society Hotel is situated in Old – Town / Chinatown which is the next area in Portland to become gentrified according to our bike tour guide from Portland Cycles. 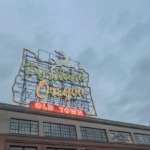 The hotel is a five-minute walk from the riverfront with the iconic Portland, Oregon sign, and next door to the Pearl District. 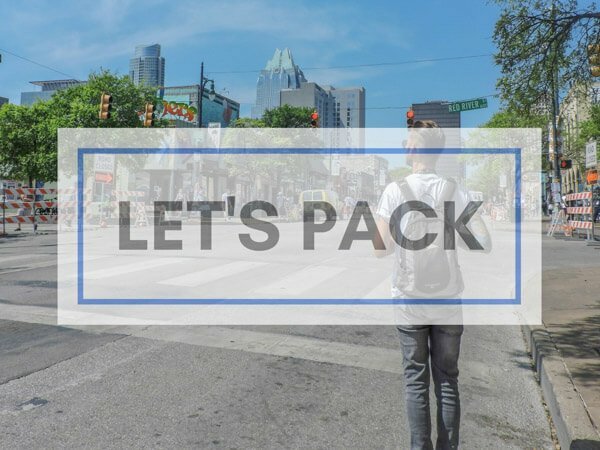 In less than ten minutes you’ll find yourself in downtown, so head to Broadway Avenue for drinks at Bailey’s Taphouse and burritos at Santeria, (check out the bathrooms!) The Mexican was an excellent tip by Aaron Levy from the front desk of The Society Hotel! Guinness Book of Record holder, Voodoo Doughnut is close by, as well as Cycle Portland Bike Tours. If you have spent time in Seattle or Vancouver, you won’t be phased by the homeless which congregate around the missions. 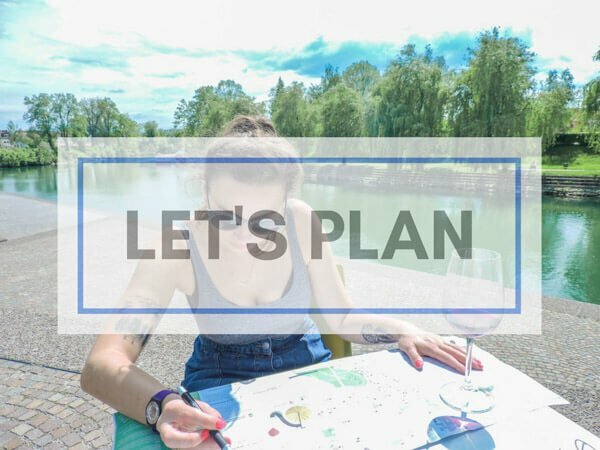 Portland does have a homeless situation like many of the Pacific Northwest cities but on the positive side, these cities offer the best services for those in needs, and obviously, the warmer climate is attractive to those in insecure accommodation. If you are not so city savvy, there’s a simple solution: turn left out of The Society Hotel to avoid it. In all honesty, my good morning greetings were met with happy responses! Throughout our travels, we are continually in search of unique accommodation. We’ve stayed in an airstream in Austin, a tree house in Colombia, and now a time capsule in Portland! 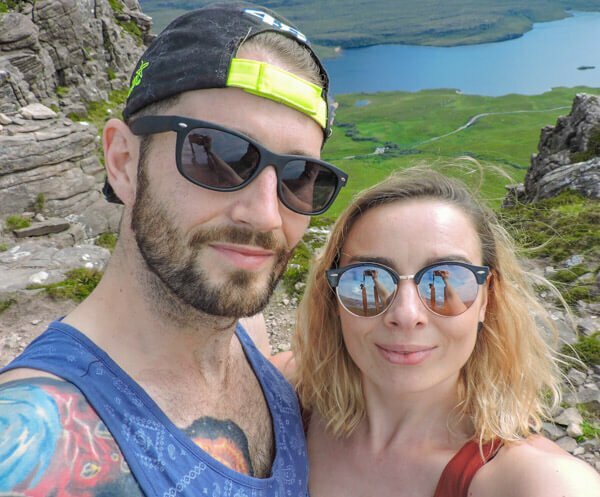 We’ve recently discovered that you can sleep in castles in Scotland! This is my next hotel goal. 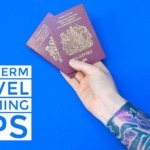 Visiting Portland in winter? Don’t miss the top festive events. Verdict: We’re proud to support this community cautious boutique hotel from the start and look forward to visiting again in the future! For more about the building of the hotel watch their video on YouTube. 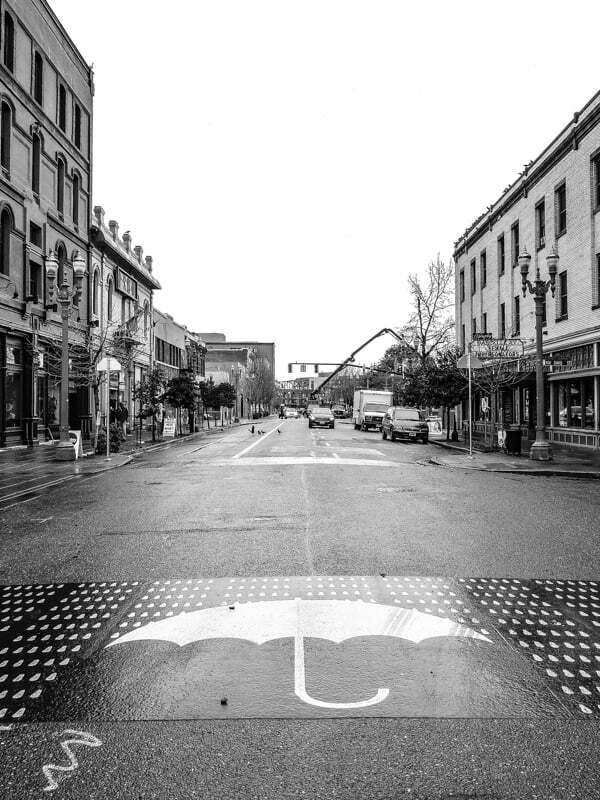 Hover over to pin to your Portland inspiration Pinterest board! 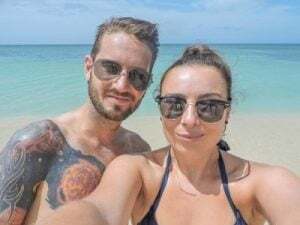 This article was written with thanks to The Society Hotel who invited us to stay for two nights in exchange for this honest review. We wish the team the best of luck but we know they won’t need it! What was the coolest accommodation like that you’ve stayed in? This place seems so cool! I’ll definitely keep it in mind if and when we visit Portland 🙂 I love the nods to its history! How beautiful! We love hotels! And so do my kids! The hotel looks really nice too! I totally agree, it should be law that new buildings have them! What an amazing place, so cute and amazing value for money! It’s not Santorini Mexican food, that’s a Greek island (funny such that’s a Euro mistake), It’s called Santería. Watch out for the hot sauce! 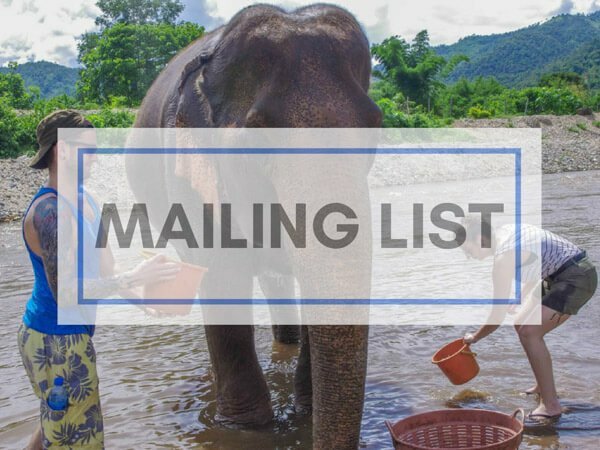 I actually think that was a North Am mistake – my editor! Thanks for noticing, I must of overlooked the change post editing. Craig loved the hot sauce! Me, I played safe. Looks awesome, love Portland! If you’re ever in Lisbon, Alfama Patio Hostel has a lovely patio/garden and really cool dorm rooms with vintage-style furnishings and beds made out of a cork-type material (also with curtains). That is so bizarre Shannon, I was just telling a reader on Facebook that we are hoping to go to Lisbon this July to see Arcade Fire! I will check it out. Ahhh it’s such a beautiful city, you’ll love it. Make sure to do a day trip to Sintra as well. Noted! Great advice, thank you.